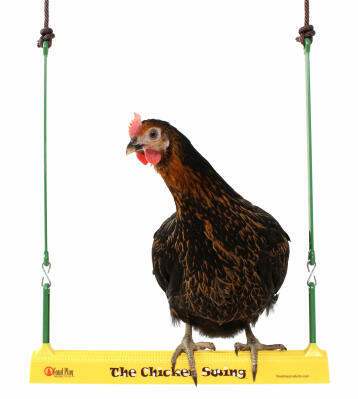 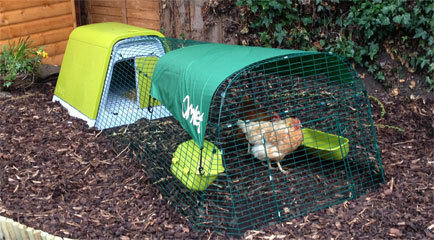 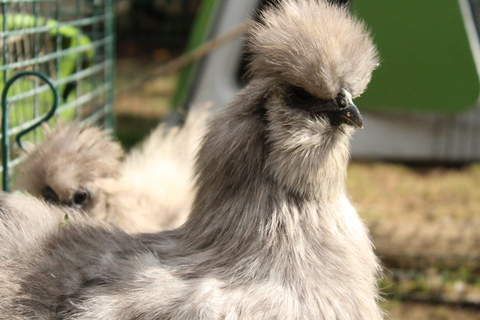 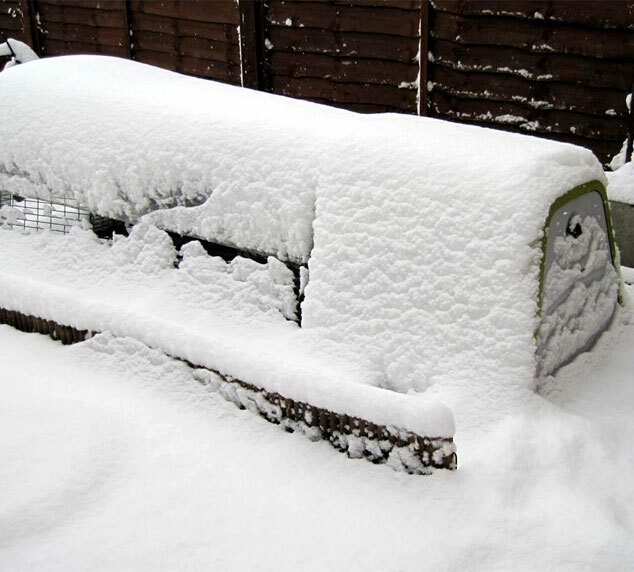 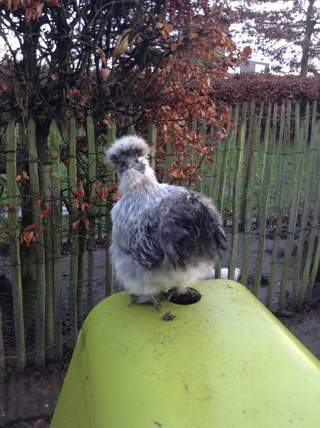 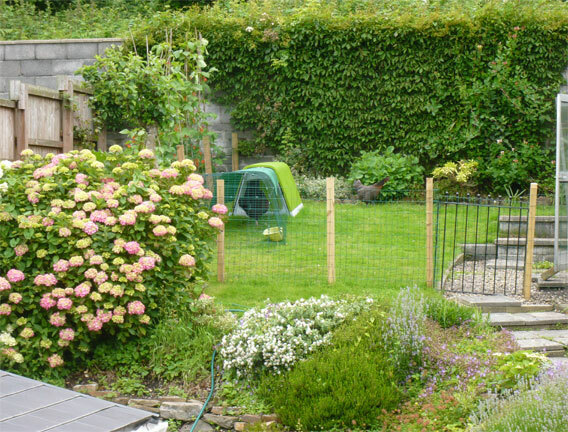 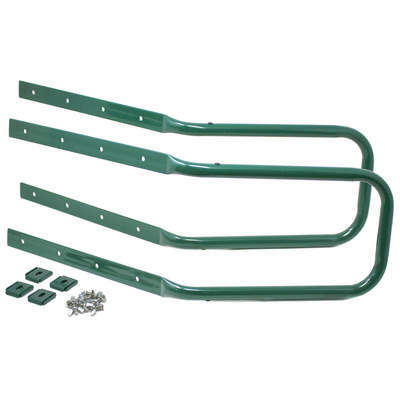 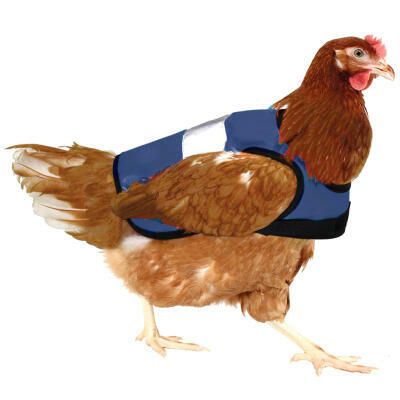 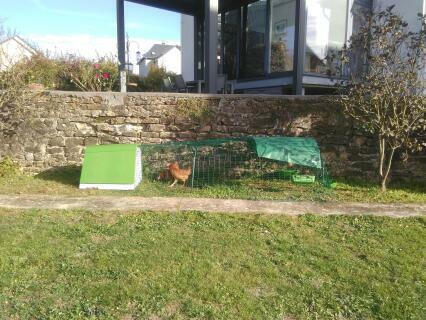 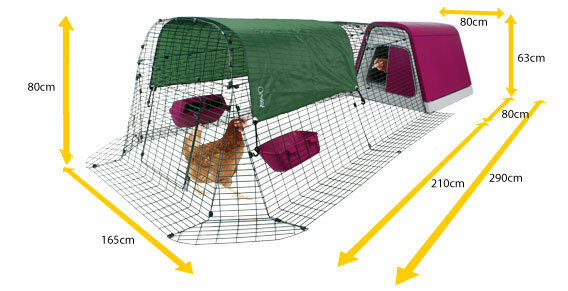 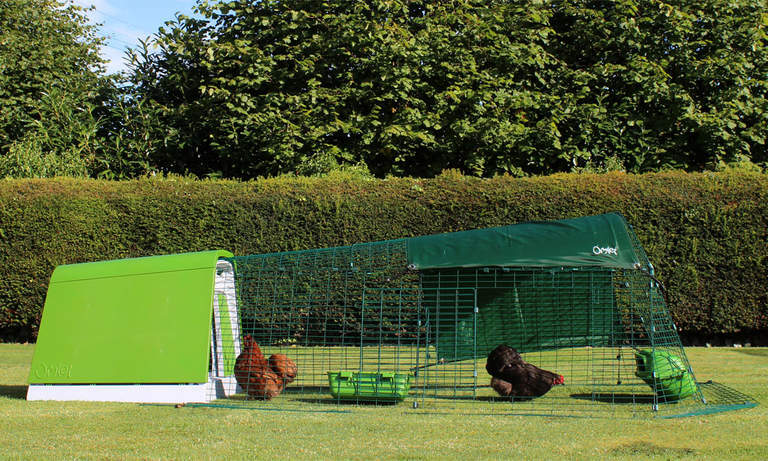 The simple, stylish, straightforward way to start keeping chickens. 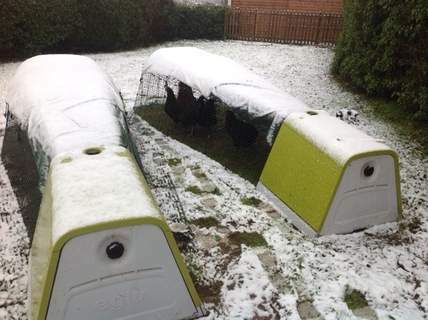 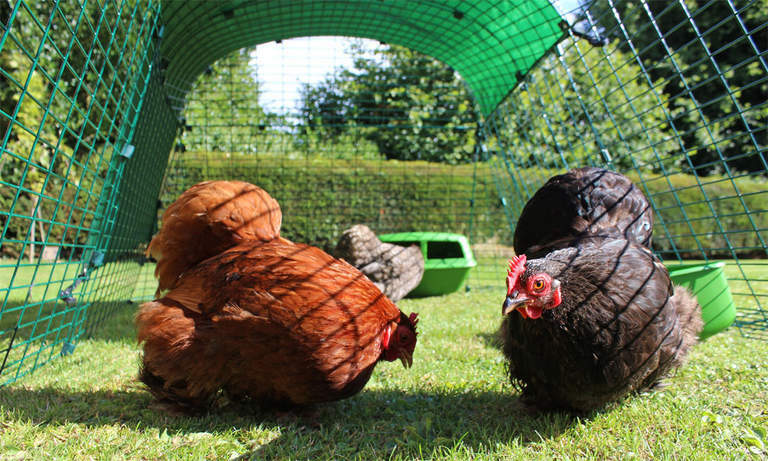 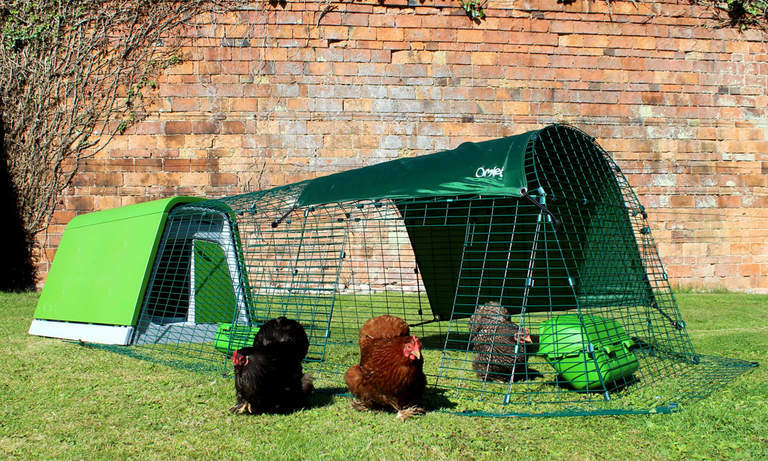 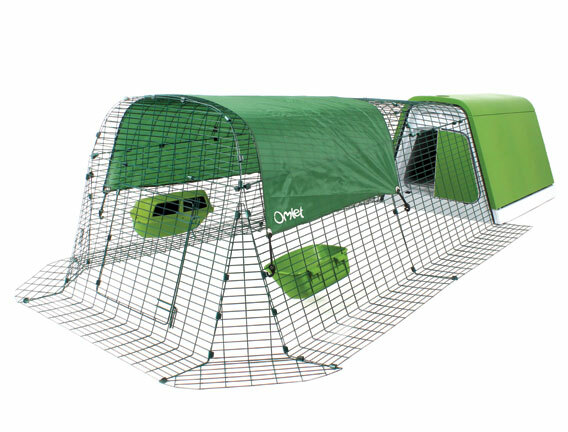 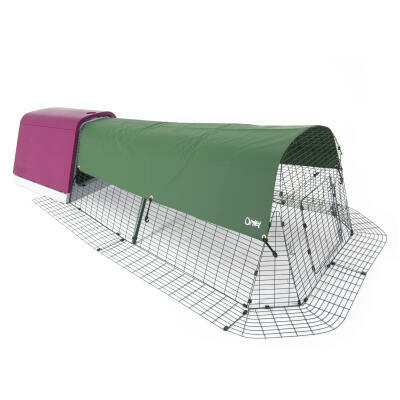 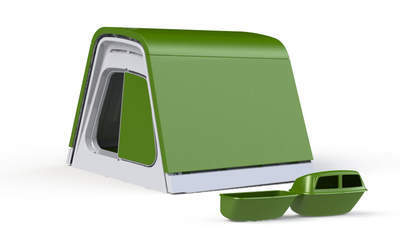 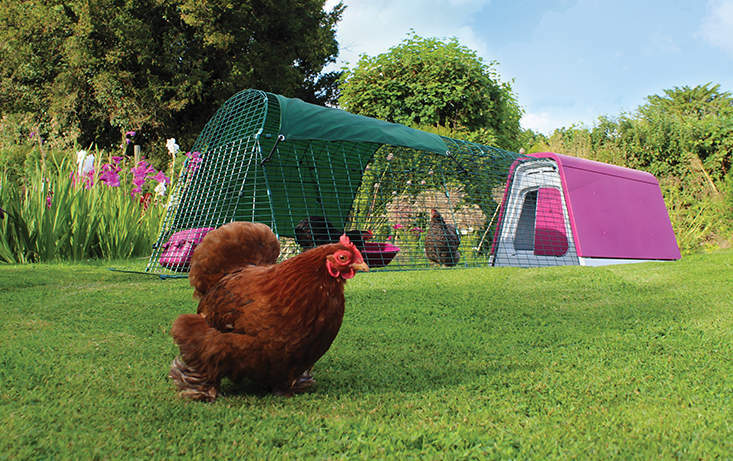 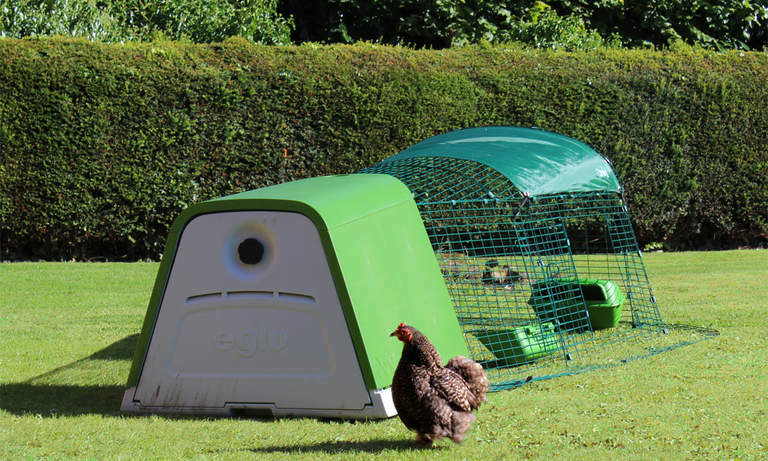 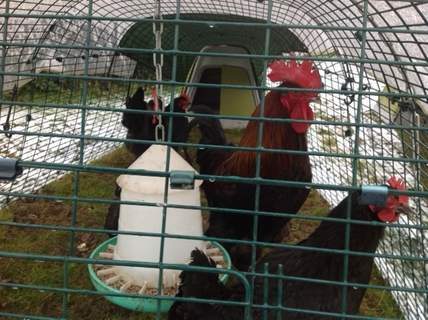 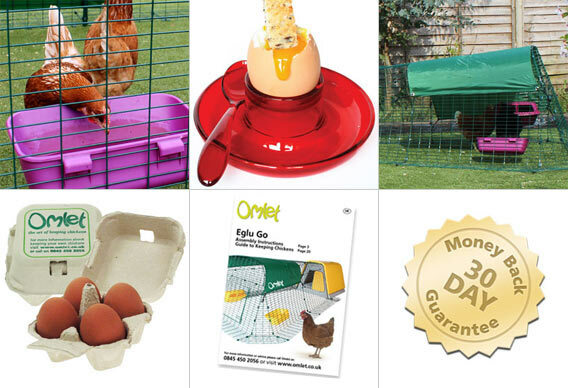 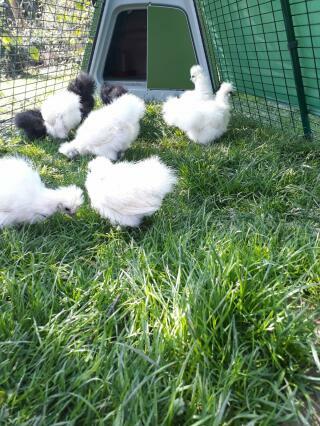 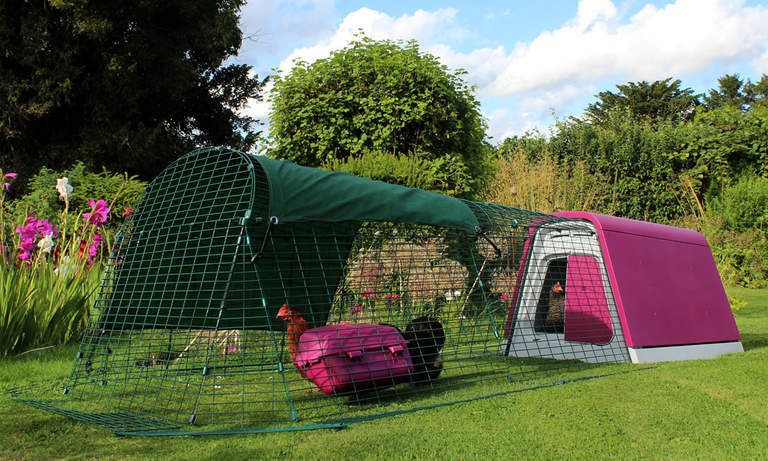 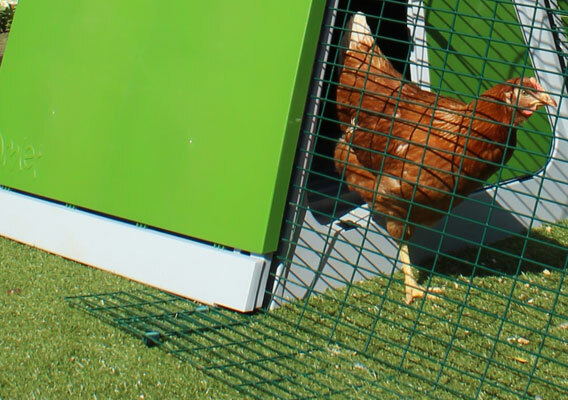 The Eglu Go Chicken Coop is the ideal hen house for keeping up to four medium size chickens happy and healthy in even the smallest of backyards. 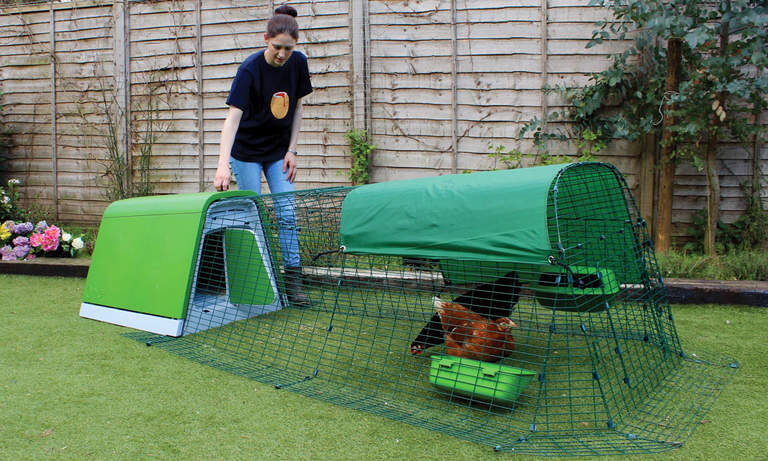 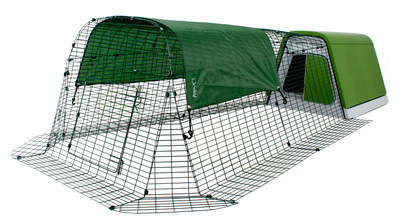 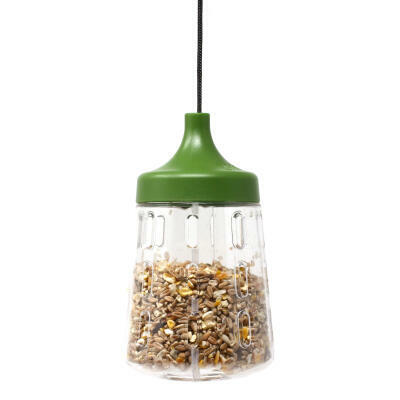 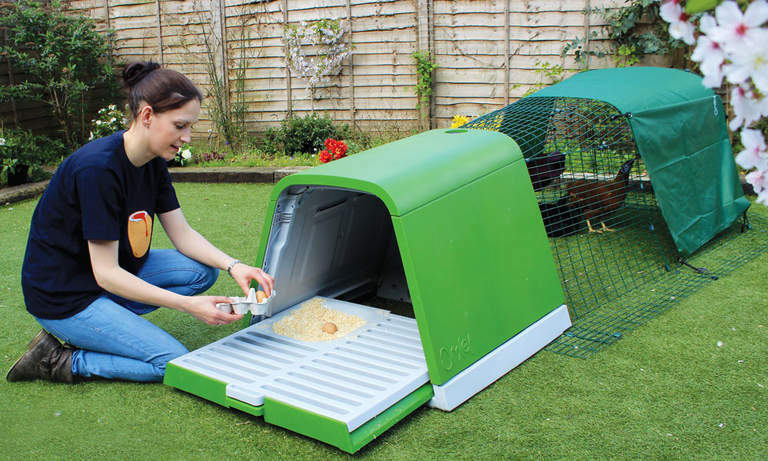 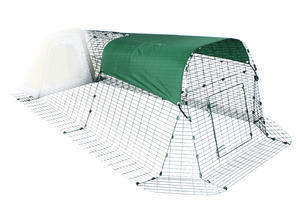 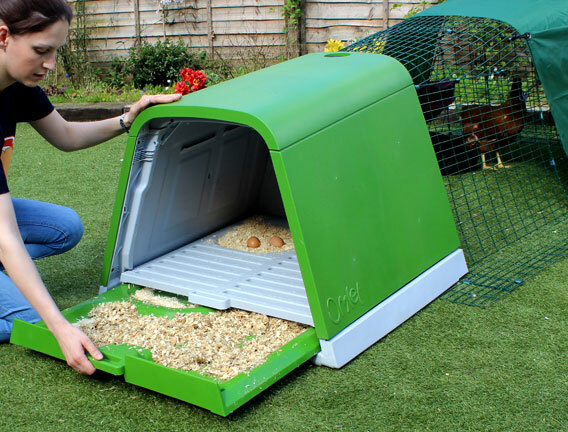 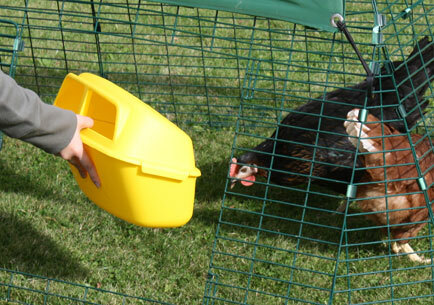 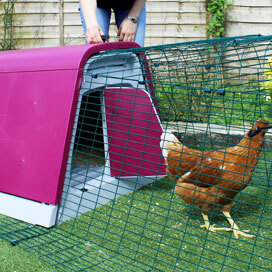 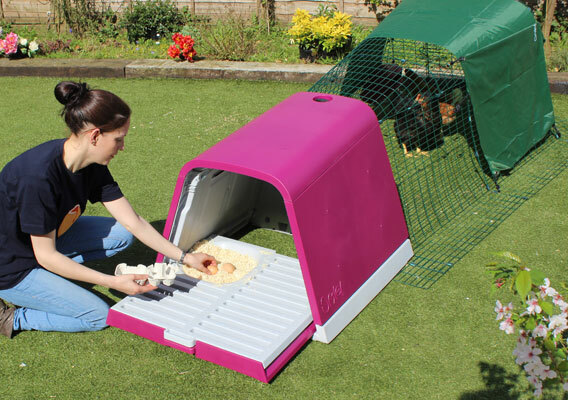 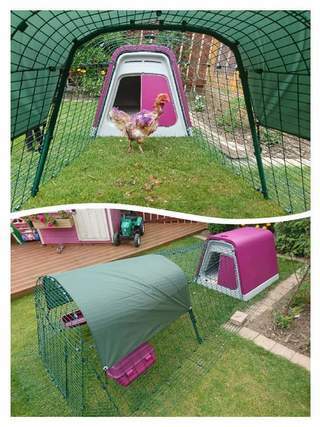 Complete with a fox-resistant chicken run, this easy to clean plastic chicken house is ideal for the first time chicken keeper. 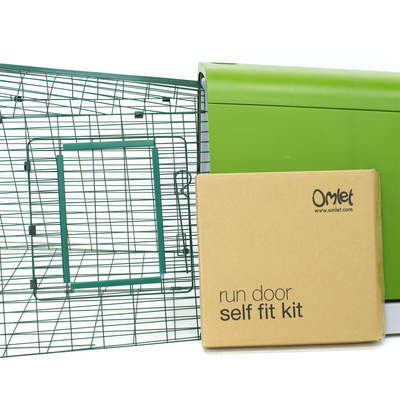 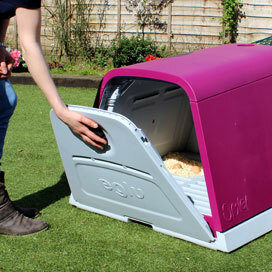 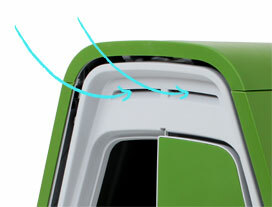 The new run design means you can now position the door on either the side or the end panels. 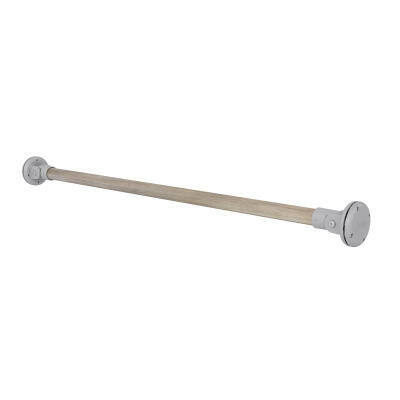 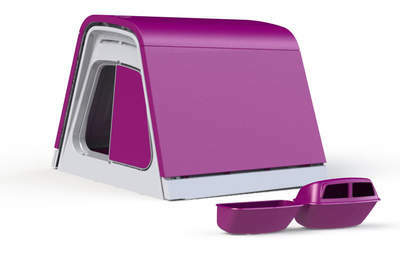 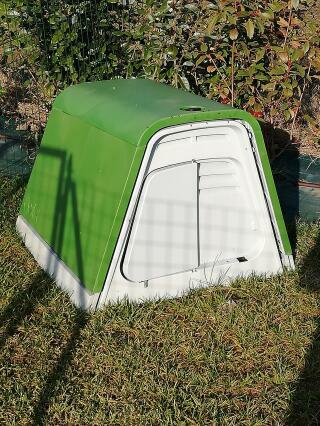 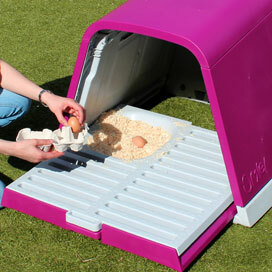 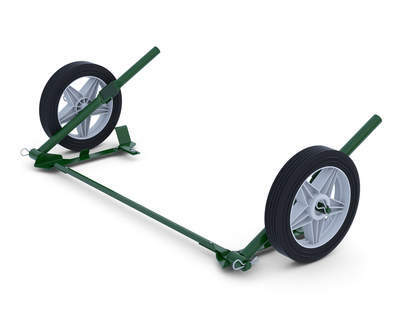 This is useful if you want to fit the Eglu Go into a spot where accessing the run would be more convenient from the side. 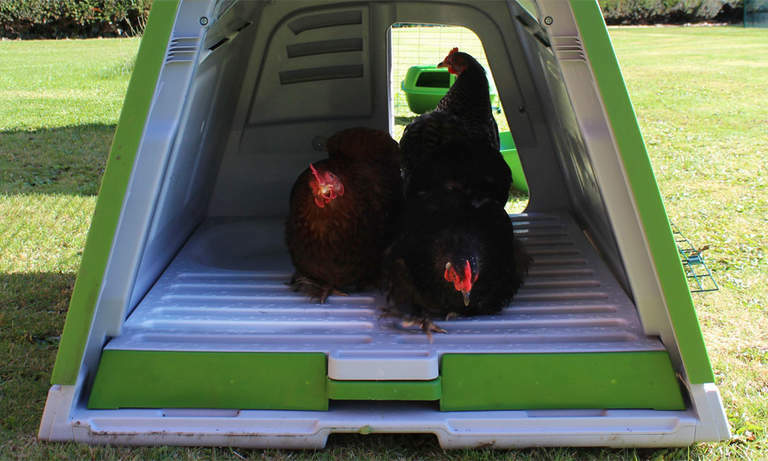 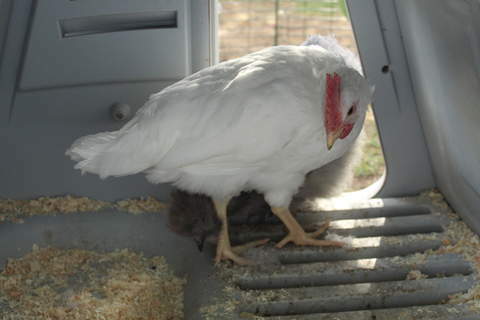 You can use the door to let your chickens out and they will enjoy roaming around your backyard looking for slugs and other tasty morsels.